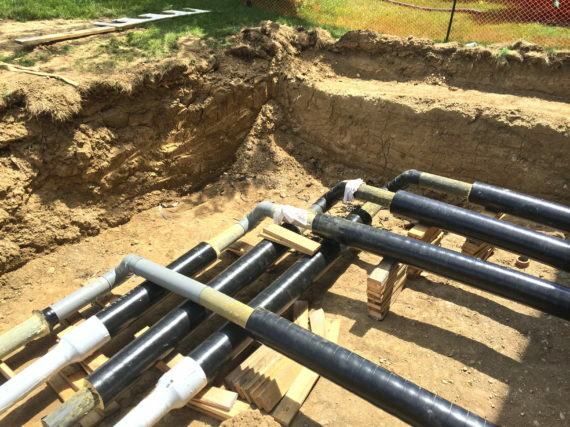 (College Station, Texas) Like many colleges and universities across the country, Texas A&M in College Station, Texas always turned to carbon steel pipe and fittings for their water lines. 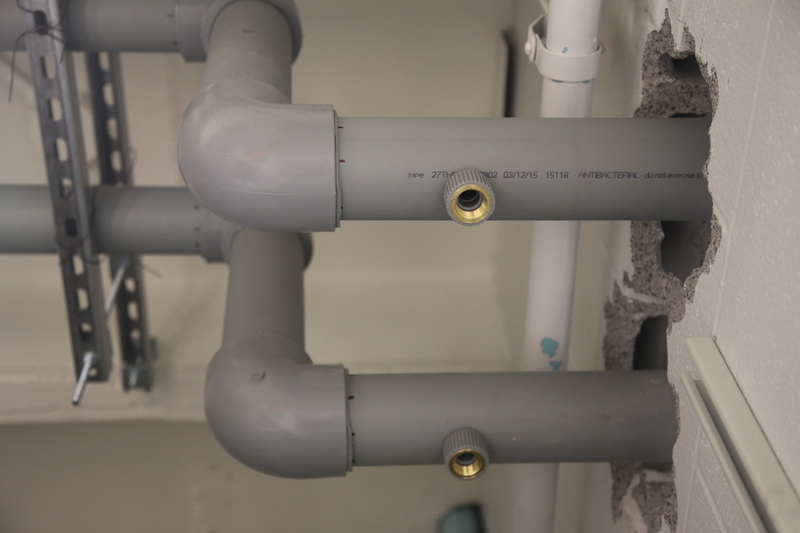 “For years, we always did it with mechanical joints,” explained Reuben Bernal, the supervisor for water distribution at the school. 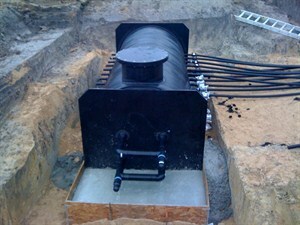 “Steel, direct burial, carbon steel pipe. 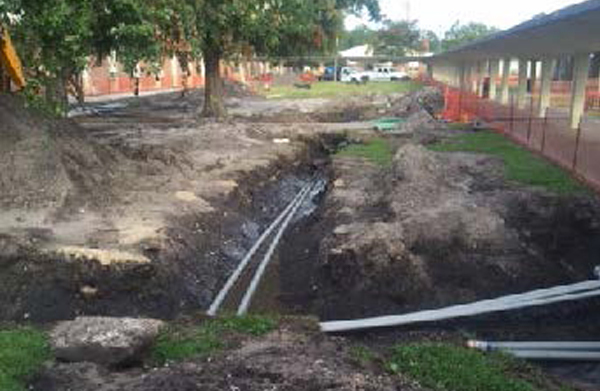 But, just like anything else, it decays in the ground.” The team faced high leak rates and dealt with too frequent interruptions to service on campus. 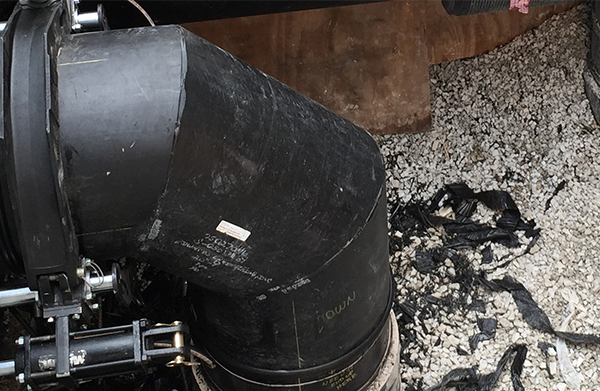 “On a normal day, we were losing up to 40-50 gallons per minute,” Bernal said. 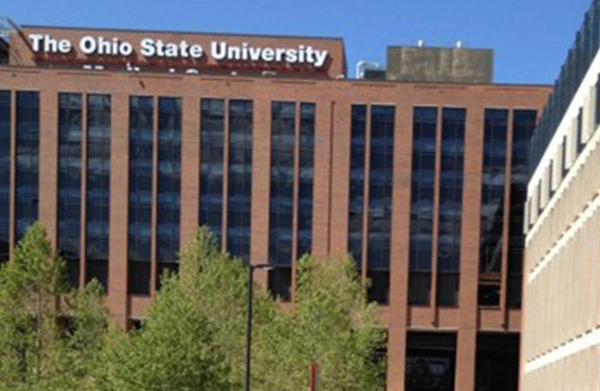 They knew there had to be a better option. 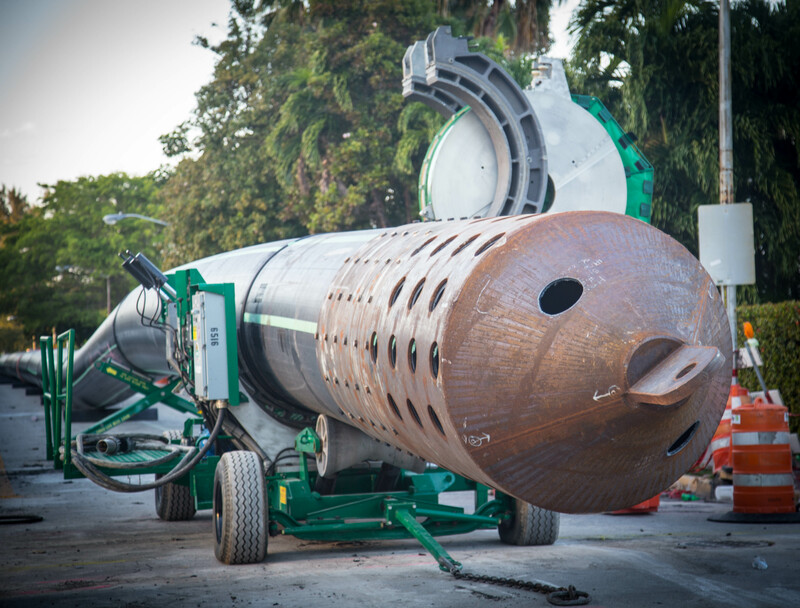 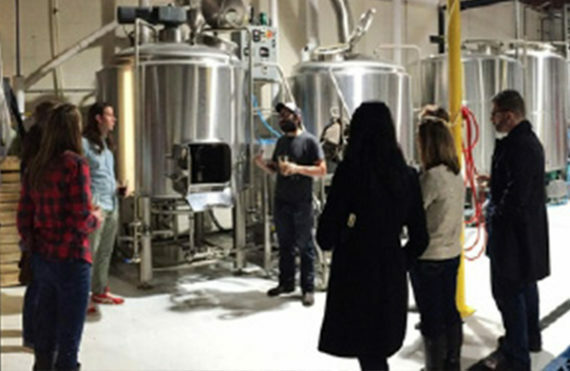 (Miami Beach) In 2013, the City of Miami Beach conducted a condition assessment on the existing 54-inch sanitary sewage force main conveying sewage through the City of Miami Beach to the county wastewater treatment plant in Virginia Key. 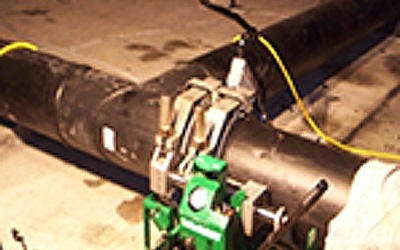 They discovered evidence that after years of satisfactory service, the sole pre-stressed concrete cylinder pipe (PCCP) sanitary main serving the city was deteriorated and potentially at risk of failure due to “Hydrogen embrittlement.” Failure of this force main, which is the sole means of wastewater conveyance, would be catastrophic in impact. 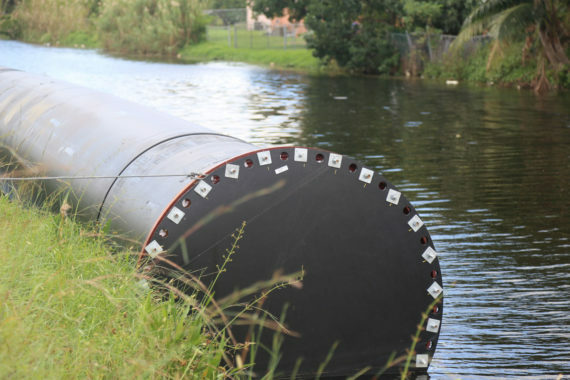 It would potentially discharge millions of gallons of raw sewage in a residential area of on of the most popular tourist destinations in the world. 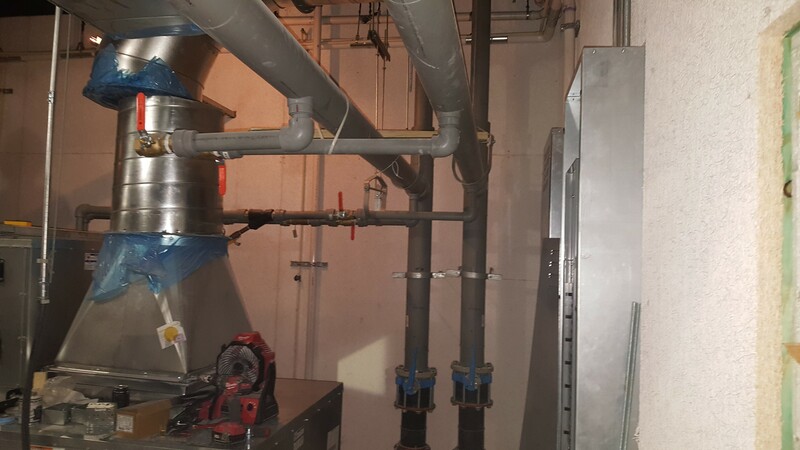 (Champaign, Illinois) Upgrading an aged air handling system at a large university is not a new challenge. 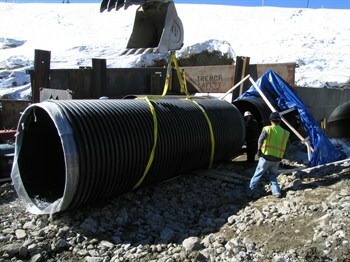 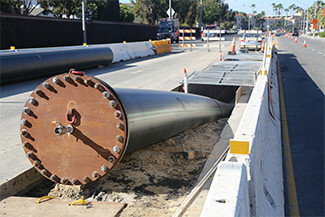 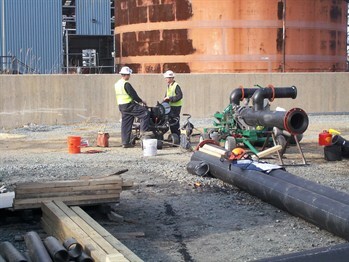 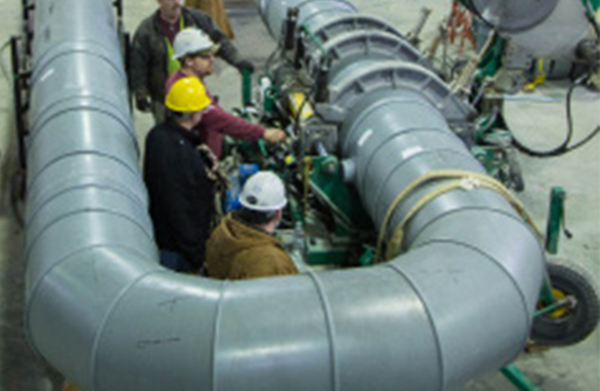 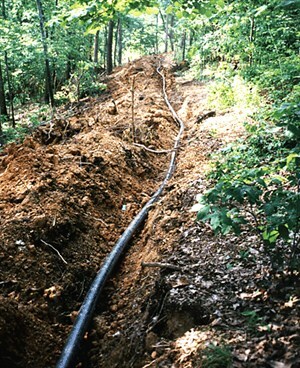 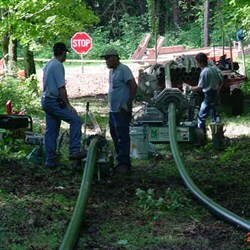 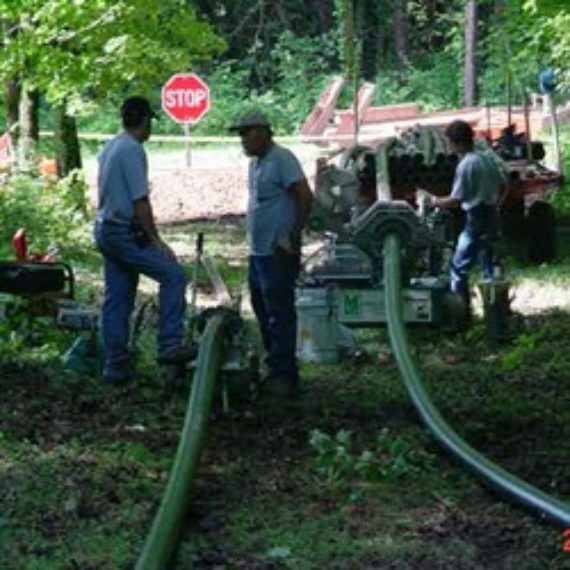 Installing a network of pipe to connect that system over an active laboratory – that’s entering murkier waters. 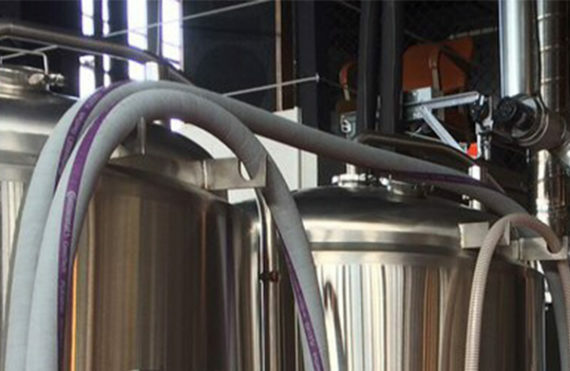 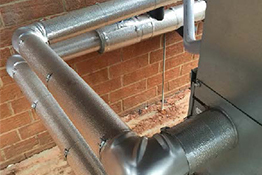 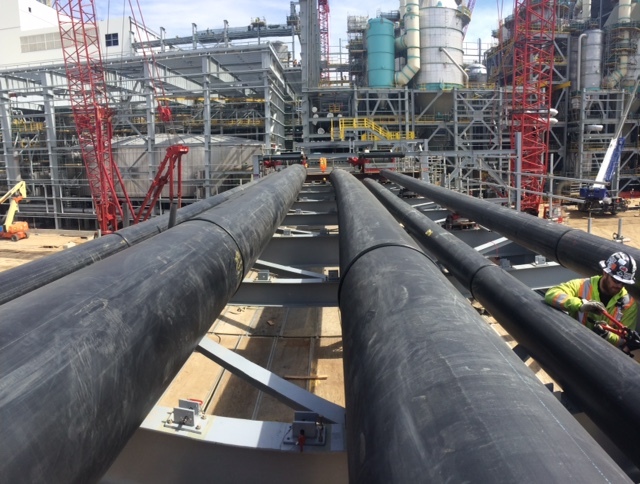 However, PP-RCT, a polypropylene product from ISCO Industries, exceeded the demanding guidelines and allowed pipefitters to complete the job in a fraction of the time with ease. (Big Lake, Texas) An empty field stretches out on the Texas countryside. 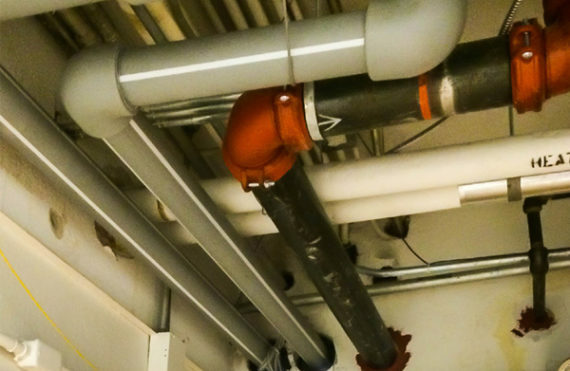 Marked only by the sporadic movement of pumps whirring up and down in wells. 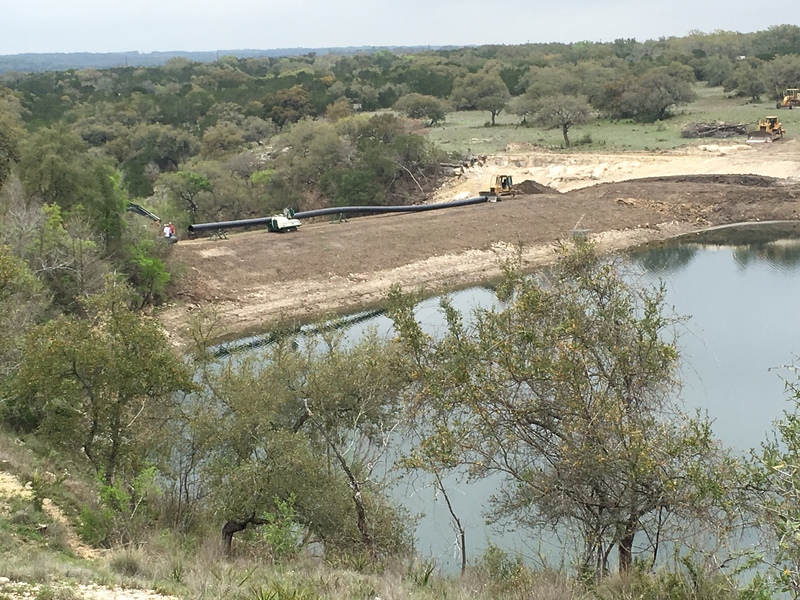 It’s here, 20 miles away from the city, that Big Lake is reaching for a long-term water supply solution. 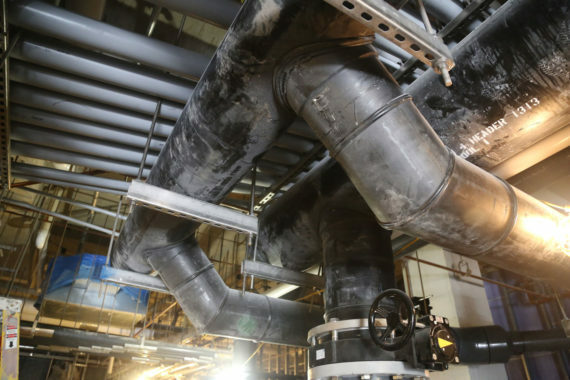 (Miami, Florida) The Frost Museum of Science is rebuilding at a new location on Miami’s stunning waterfront. 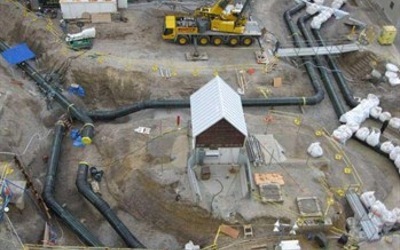 The main feature of the museum is a 500,000 gallon, two-story cone aquarium suspended by concrete arms. 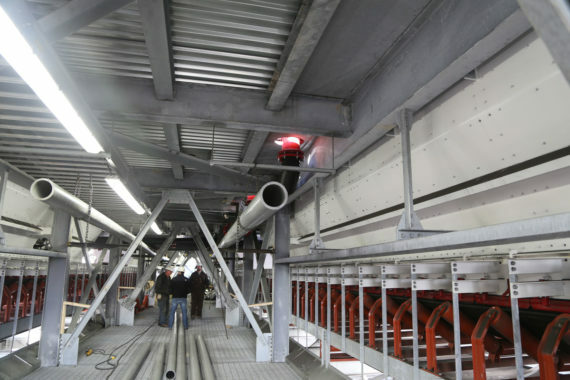 It’s open to the sky and set perfectly for viewing from above and below. 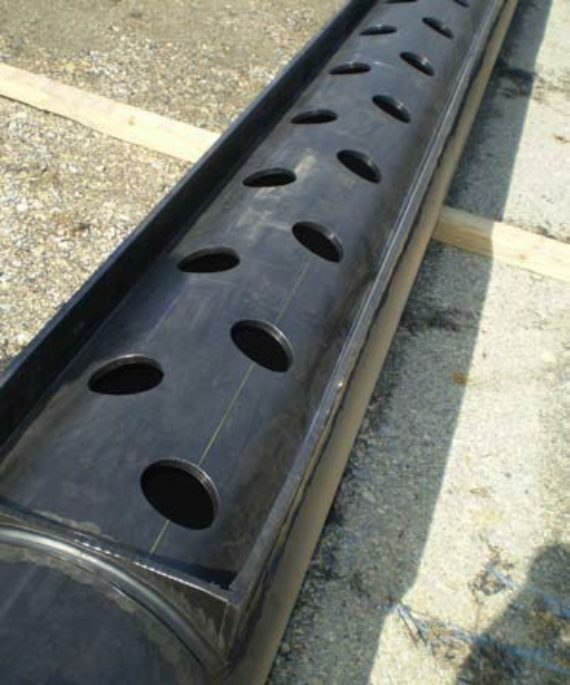 The aquarium will be home to sharks and barracuda, among other sea creatures that need saltwater to survive. 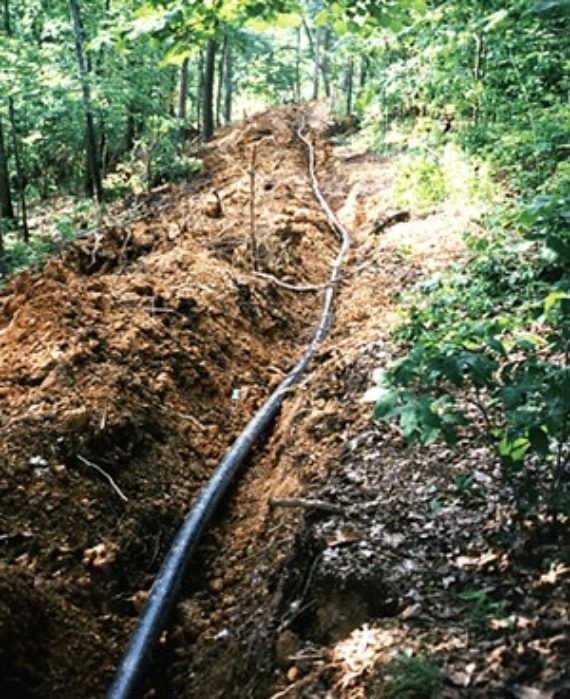 (Washington County, Maryland) When Maryland’s legislators created the Maryland Environmental Service in 1970, the agency’s mission was clear – protect and enhance the state’s air, land and water resources. The agency strives to combine the public sector’s commitment to environmental protection with the private sector’s efficiencies and expertise to find innovative solutions to some of its most complex environmental challenges. (San Clemente, California) Reservoir Number Nine in San Clemente, CA faced a tight spot when a 12-inch corroded steel pipe needed to be replaced. 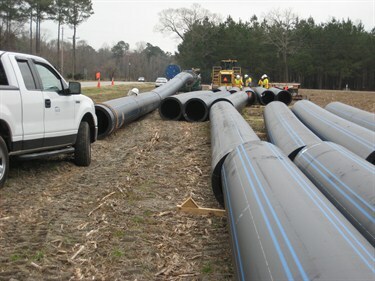 The pipe was located in a large potable water storage tank – about the size of a football field. 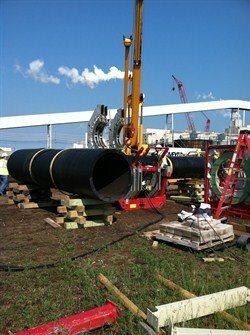 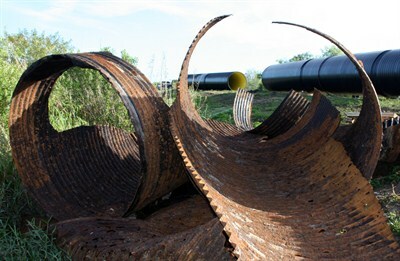 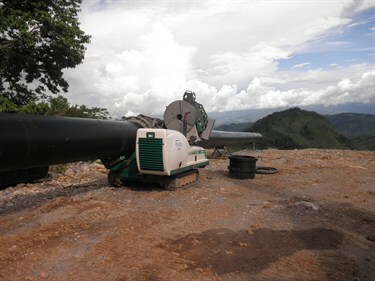 The project, which began in February 2010, was time-sensitive so the pipe had to be fused quickly. 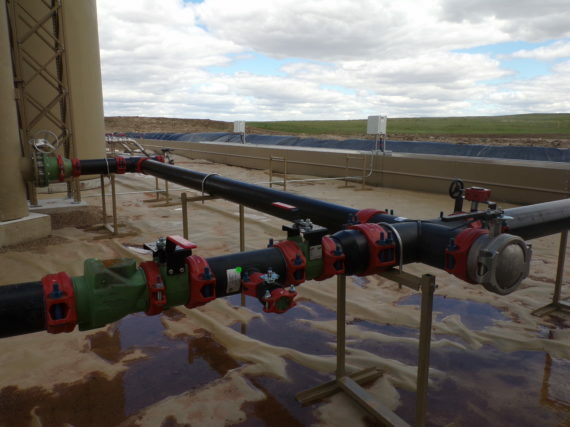 ISCO Industries, a total piping solutions provider, was there to offer a solution. 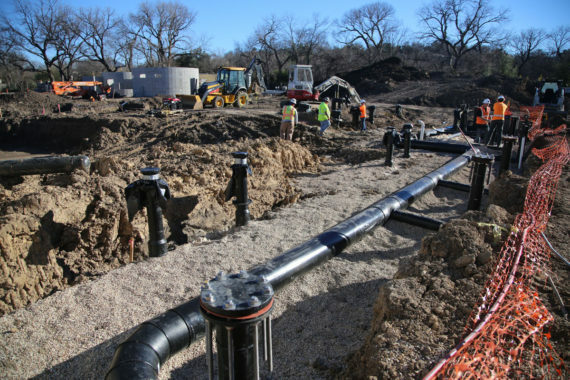 (Wichita Falls, Texas) The city of Wichita Falls came up with an unusual solution to Stage Four drought conditions – a direct potable water reuse (DPR) project. 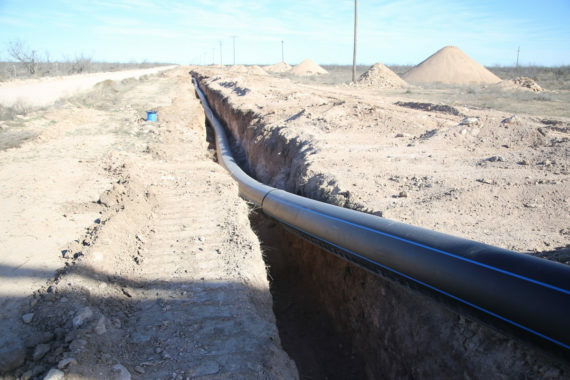 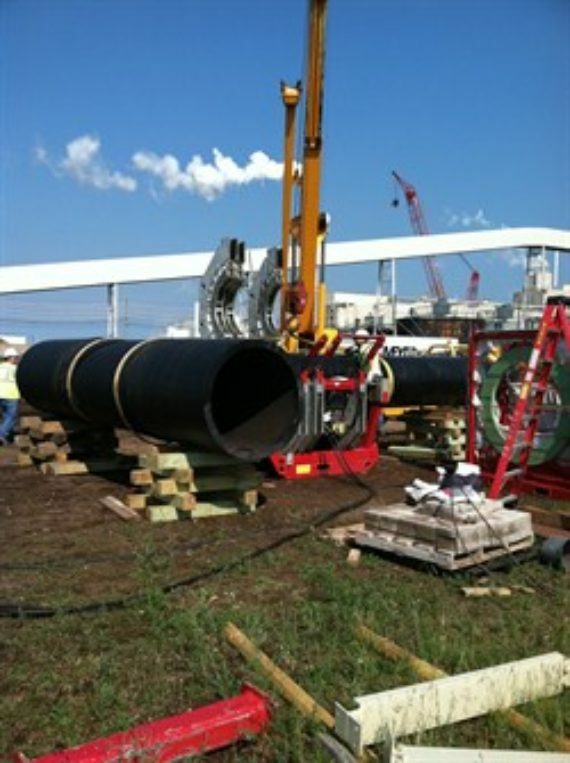 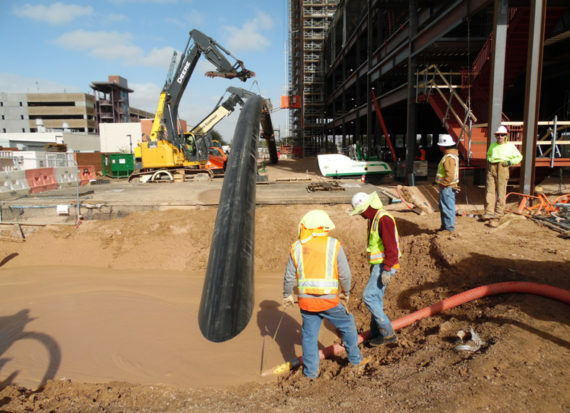 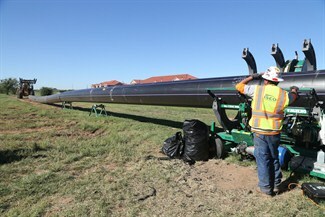 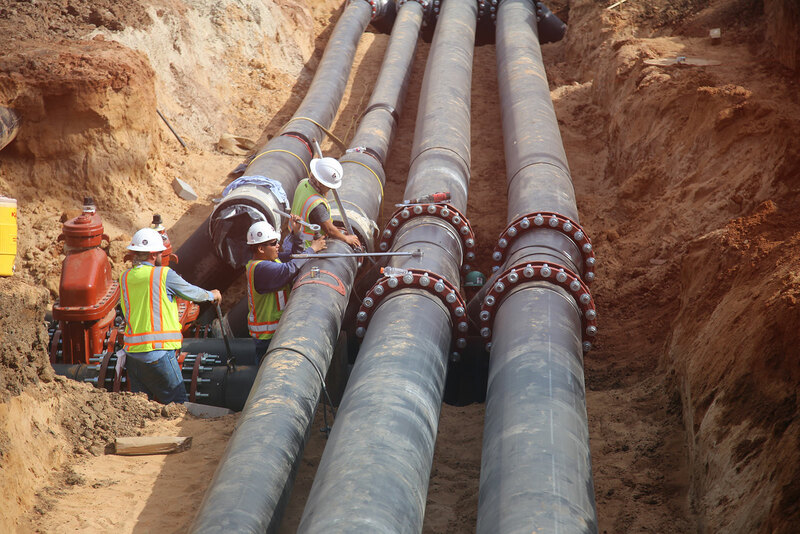 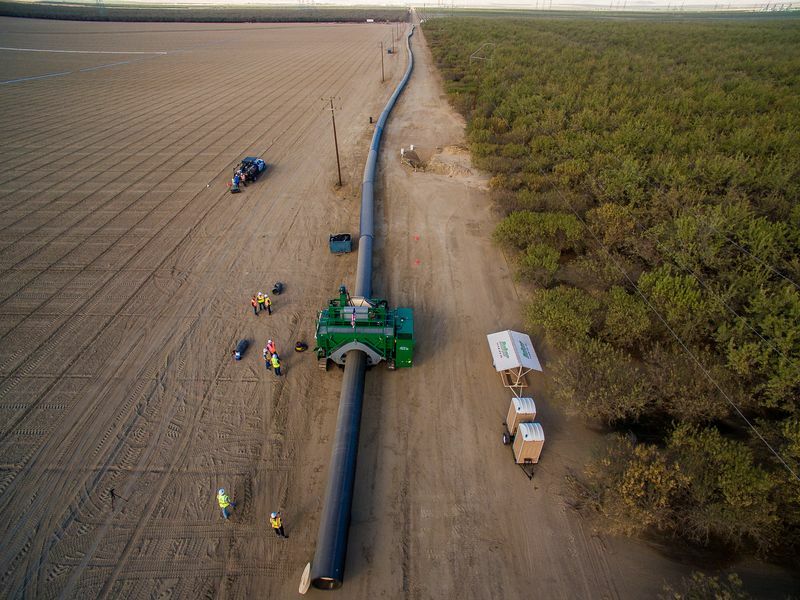 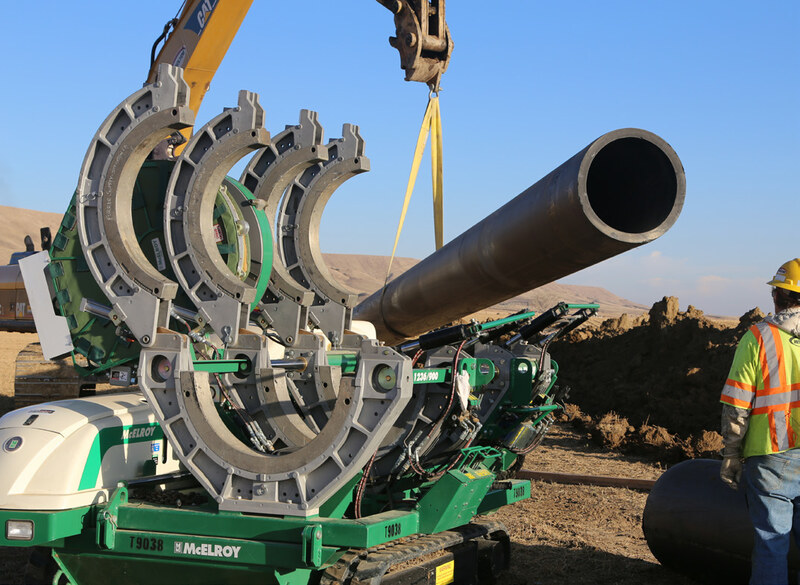 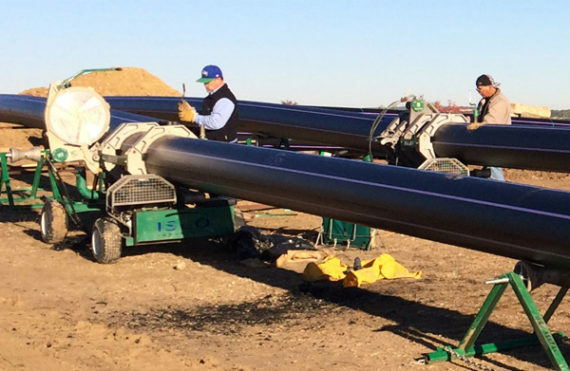 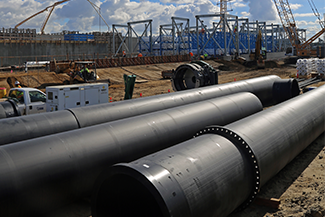 Wichita Falls-based Bowles Construction, the contractor for the water reuse project, hired ISCO Industries to provide a turn-key solution using high-density polyethylene pipe (HDPE).